Recent attendees at ISC West 2016 learned how solutions from Mobile Pro Systems are leading the the burgeoning remote and rapidly deployable video surveillance market. Our constantly improving power management and network configurations, along with the latest in camera, audio, lighting and intrusion detection devices created a great deal of interest and enthusiasm from many integrators and end-users alike. This three-day event not only allowed visitors to see live demonstrations of the Commander 3400 video surveillance trailer, but also hear how these powerful, yet flexible platforms are used by law enforcement, emergency management, construction companies, oil and gas entities, cities and many other industries to save both time and money with excellent ROI’s. Guests expressed appreciation for how our hybrid platforms achieve longer-term deployments, yet are ‘energy green’, with a modular design that allows integration of new technologies as they become available. 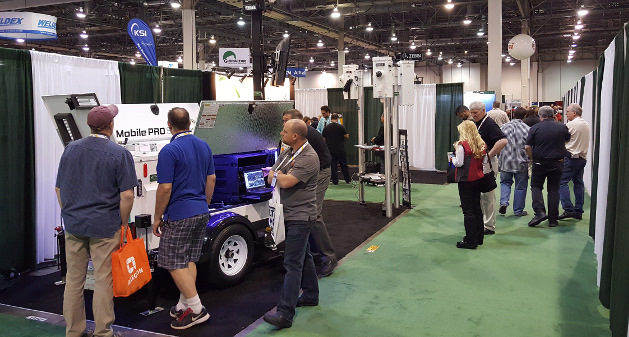 Built for today AND tomorrow – Commander 3400, Power Sentry and newly designed Hitch Sentry displays attracted many visitors at this year’s ISC West tradeshow. On-Site Training in Washington D.C.